Johnny Manziel would prefer that you not compare his attempts to return to the game of football with those of Colin Kaepernick. In a series of tweets Saturday, the former Cleveland Browns quarterback expressed support for Kaepernick, but also said that his and the former San Francisco 49er’s situations are not the same. Manziel is within his rights to express his frustration. He is struggling to overcome alcoholism, and that in itself is not an easy journey. That said, he is getting looks from teams in a league that prides itself on having a clean image and picking the best talent. FYI, Manziel doesn’t have a clean image; nor is he remotely in the same league as Kaepernick. 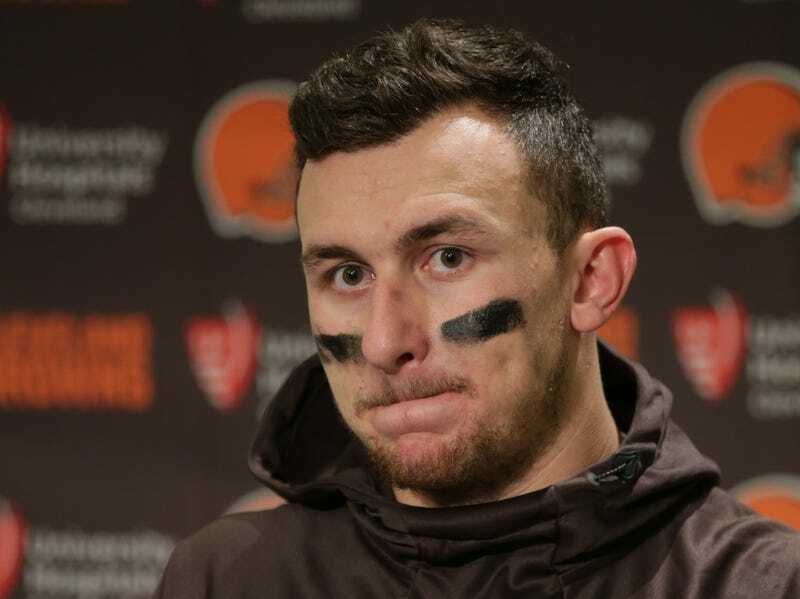 Besides his drinking problem, Manziel has a history of domestic violence. Moreover, Kaepernick is a far superior quarterback to Manziel, yet no team has remotely come close to signing him. Because he chose to take a knee. This, folks, is what has people making comparisons between the two players’ situations. And Manziel would be wise to take note as to why that is.